Optoma has released a new projector designed for meeting rooms, museums, churches and retail environments where brighter, higher quality imagery and complex detail is wanted. The bright WU416 provides you with stunning high resolution WUXGA visuals regardless of the ambient light level. It is perfect for businesses and professional installation environments this powerful and compact projector can be installed or taken on the move. 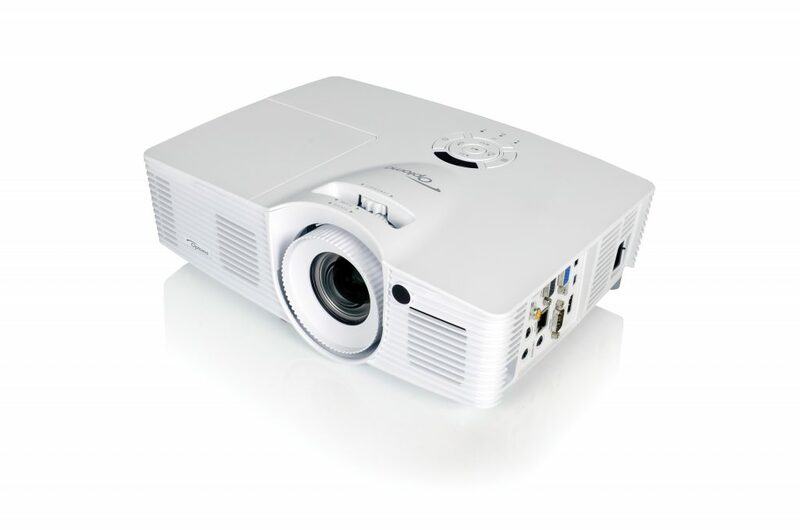 The new WU416 WUXGA high resolution projector boasts a 20:000:1 contrast ratio, a brightness of 4,200 lumens, in addition to a 1.6x zoom projection lens and vertical lens shift to enable for easier installation – without the need for costly interchangeable lenses. The compact chassis design incorporates a built-in speaker which delivers 10W audio. Easy to connect to with multiple inputs including two HDMI, MHL. You can even present wirelessly using the HDCast Pro (sold separately) or use the USB Power to connect and also power HDMI dongles such as the Google Chromecast. Additionally, the WU416 features an eco mode for energy conservation, which includes standby mode and auto power off. And because it is virtually maintenance free, it has an overall lower cost of ownership, improved reliability and longer life. Engineered for professional installation environments, this new projector enables unscaled full HD video, while the WUXGA (1920 x 1200) resolution offers 15 percent more pixels than 1080p. Full support is provided for AMX, PJ-Link, Crestron, Extron, and Telnet LAN commands, that allow almost all aspects of the WU416 to be controlled remotely across a network. Installation flexibility – vertical lens shift and 1.6x zoom.